A native Marylander, Justin moved to Virginia to attend college and now calls Northern Virginia home. 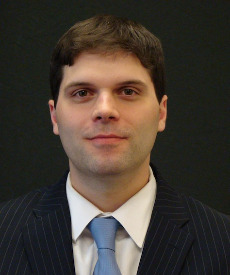 After graduating from Lynchburg College, Justin attended law school at George Mason University. During his studies at George Mason, Justin developed an interest in pursuing a career as a trial attorney. After finishing law school in 2012, Justin started working at the Law Offices of Jeremy Flachs. He has helped many clients secure just and fair compensation against those who have caused them injury. Justin understands the problems that a traumatic injury can create, and he will be a tireless advocate in standing up to insurance companies which seek to deny or downplay your injury claim. Justin is licensed to practice law in Virginia and is a member of the Virginia Trial Lawyers Association and the Fairfax Bar Association. Justin lives in Montclair, Virginia with his wife Sarah. Outside of the office, you can expect to find Justin playing tennis or golf, enjoying an evening outdoors on the deck, and watching his favorite Baltimore sports teams.